So August holds a special place in my Heart ❤. I remember those days at school I used to write “Love Letters” for my friends 😜😜 Little did I know that little writing skill would come handy now 😉..
For the ones who follows my Blog knows my Journey as far as a Blogger however I couldn’t stop myself walking down memory lane and sharing few things to all of you. Well, that’s was that, deciding on the name was a difficult task. We scribbled so many names finally my little sister Eden came up with this name “That Curly Girly” which we instantly agreed upon as that’s one significant feature in me and many who don’t know my name still refers me as “thatcurlygirly ” so Yes there was no second thought . Now the bigger part was left to me. With no knowledge about Blogging I started. Sometimes I feel lesser you know the better it is. I’ve always been fond of taking pictures, and to add the icing on the cake I have a friend who happens to be one of the most promising photographer. I had my trial pictures taken way before the website was even set. I owe so much to him because I wouldn’t have been doing what am now without those pretty pictures he took, because of those pictures I started getting collaborations with many other Photographers. As days went by I started posting blogs regularly, And then few days later there came a day when Someone tagged me with one of my posts in Instagram and that just left me “Awestruck “ as she was someone who I dint know , someone who was from miles away where she liked one of my posts “Be you” and asked her followers to read it …. Then came an offer from http://www.trendingstories.com which is an American writing platform where I was asked to write any article of my choice .💃💃💃 Yay!! Another booster.. I never knew I could write this good that I’d get an opportunity like this . Blogging made me Discover things I wasn’t aware of myself .I never knew I could also write other than just dressup. Hence, my first article called ” Dream” was published. Then came my first feature in one of the American online Fashion boutique called Get me Charlie http://www.getmecharlie.com. Well, this was my first actual feature….and followed by now lot of other features here in India and in Bangalore.  Then came my First interview… Pauloparadox @ http://www.pauloparadox.com/worldwide one of the famous bloggers from America who writes and promotes other bloggers interviewed me and then converted that interview into one finest article about thatcurlygirly 💃💃 . I couldn’t have asked for more…. I always love to read comments from people who I don’t know in person as their comments would be 💯 % genuine. The moment I used to post something in my Blog I used to read comments so motivating by this girl named Ankita Gupta insta handle @annie_sunshine809 .And Guess what?? She happens to work in the same company where I do . One day We finally connected and She tells me that she just fell in love with my style way before I have had my Blog. She then found my name thorough someone and then did a lot of effort to me find me on Facebook, Instagram and the Blog. I could hardly believe that someone could do that… When I met her in person it was nothing more than wining over everything. She is a total sunshine ☀…. Well, when someone gets to know I have been Blogging for a year now, their next question is “Have you started making money”? Well the answer is “No” . I haven’t made a single penny yet, I haven’t yet got any free clothes or free products, but sometimes it’s not just about money isn’t? Well, if i say am not at all looking out for the money then am definitely lying. It’s such a pleasure to make money out of your passion however may be my time hasn’t come yet, May be it’s gonna take some more time, however when I look back to these little accomplishments I say to myself “I have won hearts of so many genuine people”. Having said all of that its not that I dint face any challenges I did, internet sometimes can be mean. People can be mean, you get demotivated , You do feel like giving up.. but it’s no fun if its always smooth sailing isn’t?? So, Today I take this opportunity to thank each one of you who make me believe in myself, who constantly motivates me. I owe so much to you guys…..
Am still an amateur in Blogging, am still learning through my mistakes, still exploring. I hope you guys enjoyed reading my journey so far… Until the next post, keep being Fierce and keep it stylish…. Good luck with the next 12 months! Congrats. Sounds like your journey has been fun. That’s more important than money. Thanks for visiting friendlyfairytales. The photos of you are wonderful. It sounds like things are really taking off for you, Becca. You have a wide variety of content here which should appeal to a wide audience. Best wishes and keep up the good work. As usual, I was fondly going through your blog… being Happy to know even more about you….and suddenly I see my name…you are seriously the most down to earth and generous person I have ever met..trust me.little did I know that you will even reply to my comment anything more than “thanks”! Hey Rebecca you’re doing awesome girl. I really like what you write cause I feel its so real. Style oh yeah you have oodles of it instilled in you. You look really cool and a fashionista for sure. You’re going great and all the best for your future endeavours. Love always 💜!! Amazing write up,as it shows that you never missed to express your gratitude to the people.who were part of your blog. My favorite post is “beyou” and that’s you. So what’s new in this August.